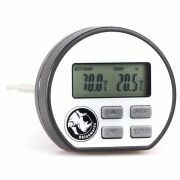 Easy to set and read digital thermometer for quick and accurate measurement. Use the thermometer when frothing milk, or for checking the temperature of water when brewing coffee. You can set a desired temperature, and an audible alarm beeps when the temperature has been reached. The specially designed stainless steel clip allows the thermometer to sit perfectly in any milk pitcher. 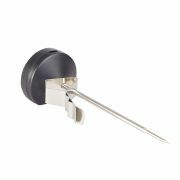 Designed with positive lock, quick-release action, the thermometer stem can be adjusted to the desired height. When the clip is removed, the thermometer can also be used for general purpose cooking needs. 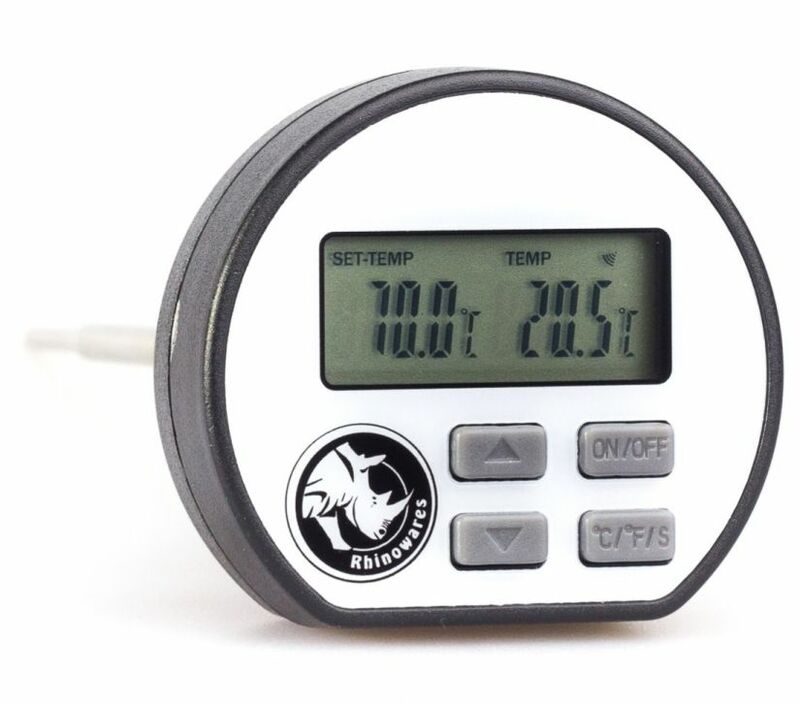 The Rhinowares Digital Thermometer measures 13 cm.